Last spring, I noticed a “call for participation” – a challenge if you will- to submit something for their collage-themed issue. They called it the “Handsome Ransom” project, and they wanted readers to come up with a creation using cut-up words and letters in a “ransom note” style. I just couldn’t resist trying my hand at something fun like this. 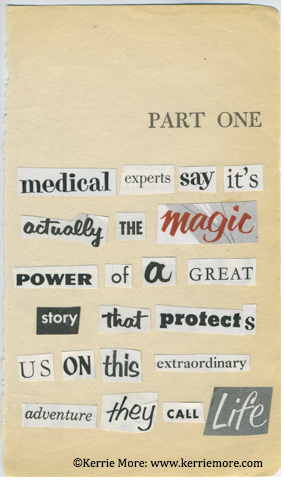 After all, I’ve been a huge fan of collage over the years and have made a few found poems using cut words from magazines. I’ve always found it very enjoyable, as it combines my love of words with visual creativity. (I also can’t resist a good challenge!) 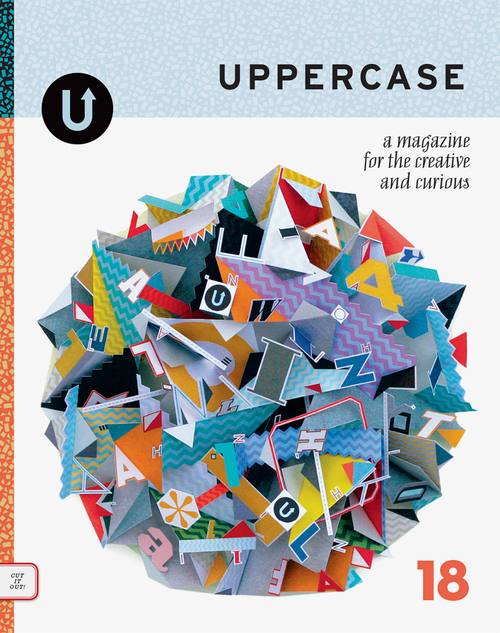 So, I spent my spring break this year working on my “masterpiece.” Imagine my surprise when I returned from vacation yesterday to find my issue of UPPERCASE waiting for me. I eagerly thumbed through it and voila’, there it was, my version of a “Handsome Ransom.” I used a page from a falling apart novel, and words from a vintage copy of the Saturday Evening Post to spread a message that I hold dear to my heart… I hope you like it! A big thank you to Janine Vangool and UPPERCASE Magazine for printing my creation. It was a ton of fun to make, and I hope others will enjoy it! In the meantime, head over to the website at UPPERCASE, and subscribe to this inspiring and visually stimulating publication. If you appreciate art, words, photography and interesting bits-and-pieces of this-and-that…. if you have an affinity for nostalgia and appreciate traditional ways of doing things… you will love UPPERCASE!